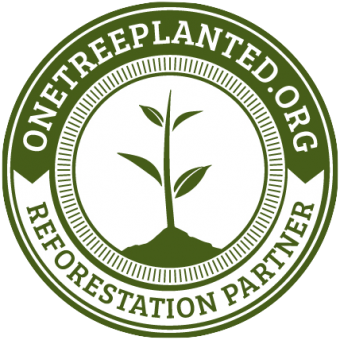 We have partnered with One Tree Planted a non-profit charity organisation that focus on global reforestation. 1% of each purchase will go directly towards planting new trees in key regions such as the Amazon Rainforest, Indonesian Forests, African Forests and the Boreal Forest. Trees are so much more important than many of us realise and the impact of just one tree can be incredibly powerful. Aside from cooling the earth, naturally filtering water and creating natural medicines, one tree can absorb over a ton of carbon, provide hundreds of pounds of oxygen, and act as a habitat for thousand of species!